With a new focus on acquiring content that was previously relegated to pay TV services, social media and tech giants like Facebook, Amazon and Google are focusing more on disrupting traditional pay TV, director of USC’s Annenberg School of Media Innovation Lab and author Jonathan Taplin told an audience at theopening keynote of the NCTC Winter Educational Conference here. Taplin, whose book Move Fast and Break Things traced the monopolization of the internet by Google Facebook and Amazon, noted that while over the years those three companies focused on other business segments, they are increasingly honing in on the video business. Facebook’s $610 million bid for streaming rights to Indian Cricket matches – it lost out to Fox – is just one example of how serious the tech giants are becoming about video. The largest corporations of the world — Google, Amazon and Facebook — are going to be the new gatekeepers, Taplin said. In addition to Cricket rights, Facebook has tried to incorporate its GUI into set-top boxes as part of the Federal Communications Commission’s “Unlock the Box” initiative back in 2016, which has since fizzled in the new administration but could surface again. Taplin said giving Facebook access to set-tops cold decimate pay TV’s local ad business. Adding to the pressure is that the next generation of TV viewers have grown up with 100-Mbps broadband connections, creating their own media systems without cable. Taplin said operators can fight back in several ways, offering skinnier programming bundles in response to competition and reliable, high-speed data connections. He added that the traditional method of delivering and buying programming also will change in the future. The current ecosystem where distributors are forced to buy large bundles of programming from content providers, even those shows that have little viewership, has to change, he added. @copyright4u: Can a tweet be protected by copyright? If so, who owns the copyright? Answer: Yes, a tweet can be protected by copyright. This is a question that’s been in the news recently, after the text of a shirt worn by Frank Ocean and sold by an online retailer was discovered to have been copied from someone’s tweet without authorization. Comments for the U.S. Copyright Office study of the “safe harbors” of the Digital Millennium Copyright Act (DMCA) were due February 21, and dozens of media and technology companies and organizations dutifully submitted filings. In what may be a first, however, a few dozen musicians also signed a video message that was submitted to the government on their behalf. Unlike most such filings, which tend to consist of pages of anecdotes and arguments, the video — titled “YouTube Can Do Better” — couldn’t be much simpler. Over a half-minute of silence, white letters against a black background spell out “Dear U.S. Copyright Office,” then the names of the few dozen acts who endorsed the message, then “YouTube Can Do Better.” It doesn’t directly mention the Copyright Office’s study of the DMCA safe harbors. The list of acts is wide-ranging, including The Black Keys, Cee Lo Green, Evanescence, John Mellencamp, Rush, T Bone Burnett, and many more. 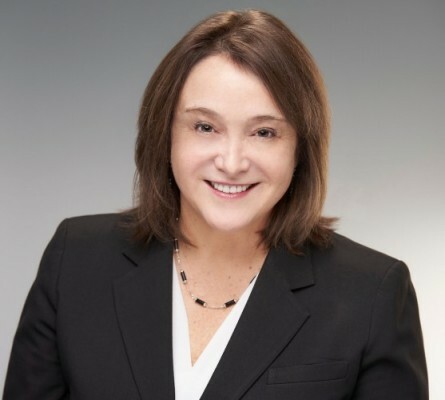 The Association of American Publishers (AAP) announced today that the former United States Register of Copyrights, Maria A. Pallante, will succeed Tom Allen who is retiring as President and CEO. Pallante, who will join AAP on January 17, 2017, is widely-known as an intellectual property expert with a distinguished record of public service. “It appears that this product is manufactured in China, but is almost indistinguishable from the genuine article to the extent that even the legitimate manufacturer cannot tell without very close examination. The RIAA did their own investigation with staggering results. The record label trade group placed orders on Amazon in a range of categories from new releases to greatest hits. Out of the 194 CDs delivered, 44 or 23% were counterfeit – including 18 CDs in orders fulfilled by Amazon itself, not a third-party vendor. If the order was for a “greatest hits” package, the percentage of counterfeits jumped to 78%. Dr. Carla Hayden, the newly installed Librarian of Congress, removed Maria Pallante from the position of Register of Copyrights on Friday, Oct. 21. The move was sudden, resulting in the extensive speculation over the decision that we have seen since. Lost amid this speculation is the fact that Pallante served the nation well for nearly six years as an outstanding Register of Copyrights. Over the course of my 30 years in Congress — and especially during my tenures as chairman and ranking member of the House Judiciary Subcommittee on Courts, Intellectual Property, and the Internet — I had the opportunity to work with several Registers, all of whom I relied upon for independent, expert counsel. As Register, Pallante continued that fine tradition, bringing a strong vision for the future of the Copyright Office and the American copyright system in the rapid technological advances of the 21st century…. Whatever the basis for Dr. Hayden’s decision to remove Register Pallante, we should not overlook that Maria Pallante served the Copyright Office, the Library of Congress, the Congress and the nation with rare vision, dedication and fairness. We can only hope that her successor has those qualities in equal measure. [Editor Charlie sez: This is a must-watch speech from Graham Henderson, a long-time supporter of artist rights from his base in Toronto. On November 1, Music Canada’s President and CEO, Graham Henderson, delivered a moving address to the Economic Club of Canada on the erosion of creators’ rights in the digital age, and what can be done to re-establish a fair working environment. Canada’s cultural industries were well represented with attendees from Sony Music Canada, Warner Music Canada, Universal Music Canada, The Motion Picture Association of Canada, the Writers’ Union of Canada, SOCAN, CIMA, CMPA, The Screen Composers Guild of Canada, the Ontario Media Development Corporation, Canada’s Walk of Fame, Ontario’s Ministry of Tourism, Culture and Sport, Re:Sound, and TD Music. Guests from Ryerson University, OCAD, Humber College, CGC Education, Colleges Ontario, and York University represented the education sector. MPPs Monte McNaughton, Lisa MacLeod, Rick Nicholls, Lisa Thompson and Steve Clark were also in attendance. We were happy to have been joined by local musicians as well, including Miranda Mulholland, Amanda Martinez, Caroline Brooks of the Good Lovelies, Murray Foster, Alysha Brilla, Jay Douglas, Sonia Aimy, and Sally Shaar of Ginger Ale & The Monowhales. The Economic Club of Canada’s President and CEO, Rhiannon Traill, who took on the role five and a half years ago with vision and passion, introduced Graham’s address. Rhiannon thanked Graham for the support he has shown for the Economic Club of Canada and for her as President and CEO, and praised Graham as a champion for Canadian culture. Below is the full video of Graham’s speech, titled The Broken Promise of a Golden Age: How creators got squeezed out in the digital era, and what can be done to restore their rights.